You see, I prefer my books to be based on sound research. But when it comes to nutrition books, I’m often faced with ones written by authors that prefer sensationalism over sound science. Some cherry-pick research studies and only present a select few to make their stance sound stronger than it truly is. Others explain the science behind their claims in an unnecessarily complicated ways to sound like more of an expert than they truly are. And a few authors go as far as to suggest that their approach to nutrition is the only true way to the And I’m not a fan of this at all. But over the years, I’ve come across a handful of vegan nutrition books that focus on sound research and present it in simple to understand terms. These are books I can definitely recommend to other vegan and plant-curious mamas. And in this article, I’ll be sharing four of my favorites. As always, if you prefer to watch rather than read, simply click on the video below! Before we get started, I’d like to point out that all of the books I’m about to mention have a few things in common. First, they are written by licensed professionals in their field — for instance either registered dietitians or medical doctors. Of course, this doesn’t always equate to quality content, but for me, it’s a sign of a good start. Second, they don’t promote going to extremes. Rather, they focus on balanced ways of eating aimed at providing you with all the vitamins and minerals you need. Third, they’re heavily referenced. I view nutrition books that don’t provide references to their claims more as opinion pieces rather than sources of sound nutrition information. And finally, the references provided actually support what the author is saying. This last point may sound like a given. But surprisingly, I’ve come across more than a few books for which this wasn’t truly the case. In sum To pick the best vegan books, make sure they are written by experts who don’t promote diet extremes. The authors should also support their claims with references to strong scientific research. This book is often referred to as the encyclopedia of vegan nutrition. 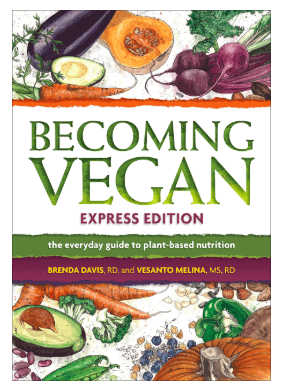 It is written by two registered dietitians; Brenda Davis and Vesanto Melina. This book covers all of the basics of vegan nutrition, including the nutrients your body needs and what foods to get them from. It also emphasizes some aspects of nutrition vegans need to keep an eye out for and how to resolve any concerns you may have with your diet. You can find this book in two versions — an express edition published in 2013 and a comprehensive edition published in 2014. I read the comprehensive edition, which is more geared towards health professionals. It goes in depth on each of the topics but has a bit of a textbook style which some people classify as a drier read. If you’re not a healthcare professional, you may prefer the express edition. I haven’t read it myself, but from the looks of it, it appears as an easier read while still providing all of the nutrition information you’d expect from this book. I particularly enjoyed the chapters on expecting vegans, which covers pregnancy and lactation. 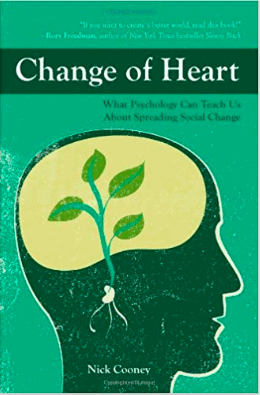 There are also chapters on all the different life stages, including infancy, childhood and adolescence. What’s more, the authors provide sample menus for all of them, which is a great way to get inspired when it comes to your meals or what you feed your family. 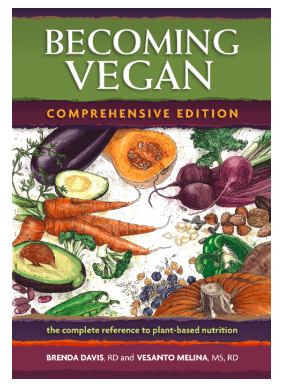 In Sum Becoming vegan can be considered the encyclopedia of vegan diets. It addresses a wide variety of topics and provides sample meal plans for all different life stages. This book was also written by two registered dietitians; Jack Norris and Virginia Messina. It was published back in 2011, so it’s a bit of an older book. But it covers the vegan nutrition basics for all life stages, from infancy to adulthood. It also has chapters on vegan pregnancy and lactation. What I find particularly interesting about this book is that it doesn’t shy away from topics that tend to stir up controversy. For instance, it covers covers raw diets for children and whether it is safe to eat soy. Although this book references all its nutrition claims, it’s good to keep in mind that it was written more than 8 years ago. So I’d suggest checking out the authors websites for the most up to date nutrition information. 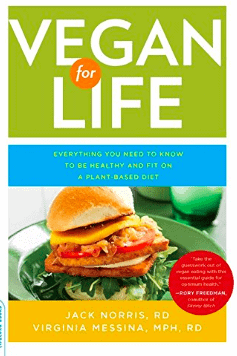 In Sum Vegan for life is a vegan nutrition book that covers all aspects of veganism. It doesn’t shy away from controversial topics. This one is a particularly interesting read because it focusses on the unique health concerns and nutrition needs of women. It was written Virginia Messina,a registered dietitian, and JL Fields, a vegan chef and published back in 2013. It has chapters on a variety of health topics including fertility, pregnancy and breastfeeding. I particularly enjoyed the discussion about the way in which your diet can impact your hormones. There was also a section in the book about veganism beyond the plate, to help you easily integrate veganism in other aspects of your life. I found this to be a nice addition. As a dietitian, I also appreciated that the authors discussed how healthful eating can become an unhealthy obsession — also known as orthorexia. Plus, I definitely support their views on how to ditch the diet mentality and focus on intuitive eating to find happiness beyond the scale. And this book also includes a few tasty-sounding recipes near the very end for those who like to cook based on recipes. 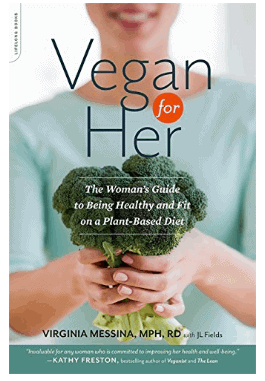 In Sum Vegan for her is a book written with woman-specific nutrition issues in mind. 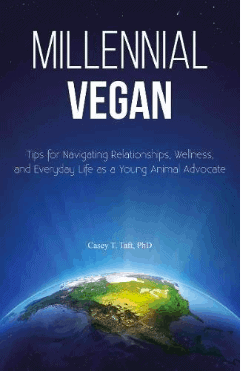 It provides in-depth nutrition advice, recipes, as well as discussions on other aspects of veganism. 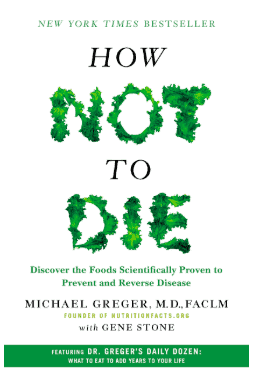 This last book is written by Michael Greger, a medical doctor, and published in 2015. I’m not always a fan of nutrition books written by doctors. I find that many push diet advice that’s more apt at selling diet plans or weight loss programs rather than helping the reader make sustainable lifelong changes. But this is absolutely not the case with this book. In fact, I offered How Not to Die to many of my close relatives because it’s based on sound nutrition science and heavily researched. Now I realize that the title is a little funny-sounding. But don’t let that deter you! How not to die is not actually a book about avoiding death, but rather avoiding death from mainly preventable diseases. Part one: focusses on the plant foods scientifically shown to protect or reverse certain disease — for example what diet changes may help reduce your risk of developing type 2 diabetes or heart disease. Part 2: focusses on how practically to apply the nutrition knowledge shared in part one in your day-to-day life. Dr. Greger shares a list of 12 foods to try to eat each day to stay healthy and fend off disease. In Sum How Not to Die shares the nutrition science in favor of eating a plant-based diet to avoid common diseases. It shares a list of foods you could benefit from eating each day. I realize that this list is short and sweet and that if you’re a seasoned vegan, you may have already read most of these books. That said, they remain the cream of the crop. As a registered dietitian, they meet all of my quality assurance criteria and I have yet to find other vegan nutrition books that do. That said, I’m really looking forward to reading and potentially adding “Vegan Nutrition for Pregnancy and Breastfeeding” by Vesanto Melina and Brenda Davis to this list when it comes out later this year. I’m also hoping to tackle a few non-nutrition related vegan books over the next few months. That is, if my little one decides to nap for longer than 30 minutes. 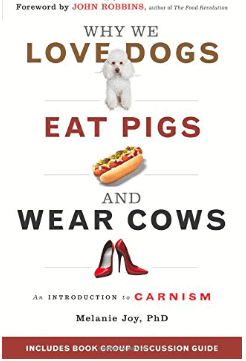 For instance, “Why we love dogs, eat pigs and wear cows,” by Melanie Joy, “Change of heart” by Nick Cooney and “Millennial Vegan” by Casey Taft. What are your favorites? 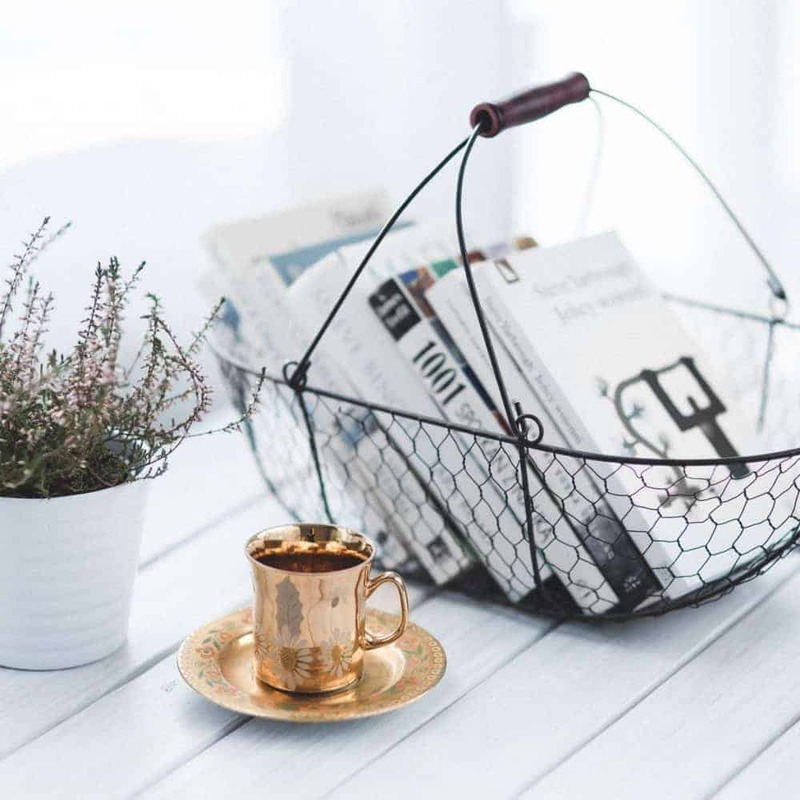 I’m always up for a good read and would love to hear your suggestions in the comments below!